The latest patch (3.02) reactivating the save function can be found here. After more than 2 years since the last release and about 8 years (!) 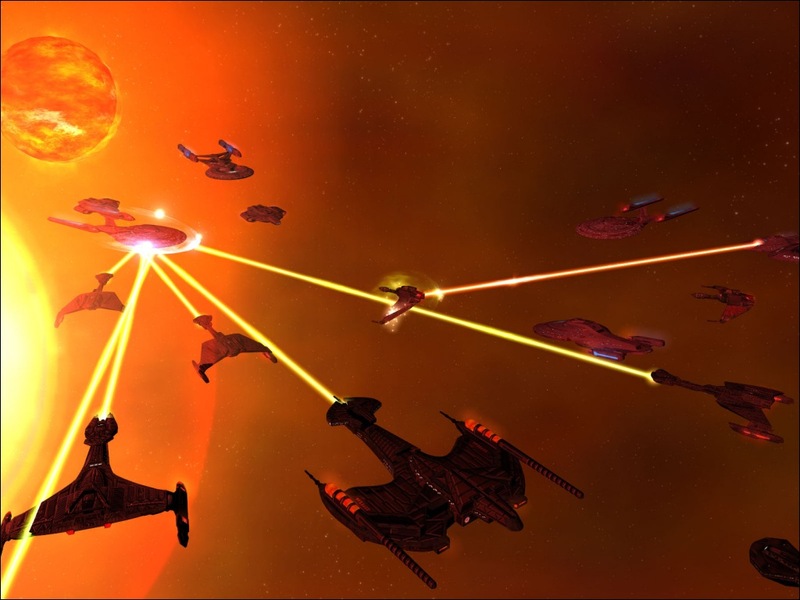 of development beginning with Armada 1 in 2000 here is the first final version of the highly anticipated Fleet Operations modification for Armada 2, running great on Vista machines and including full widescreen support. 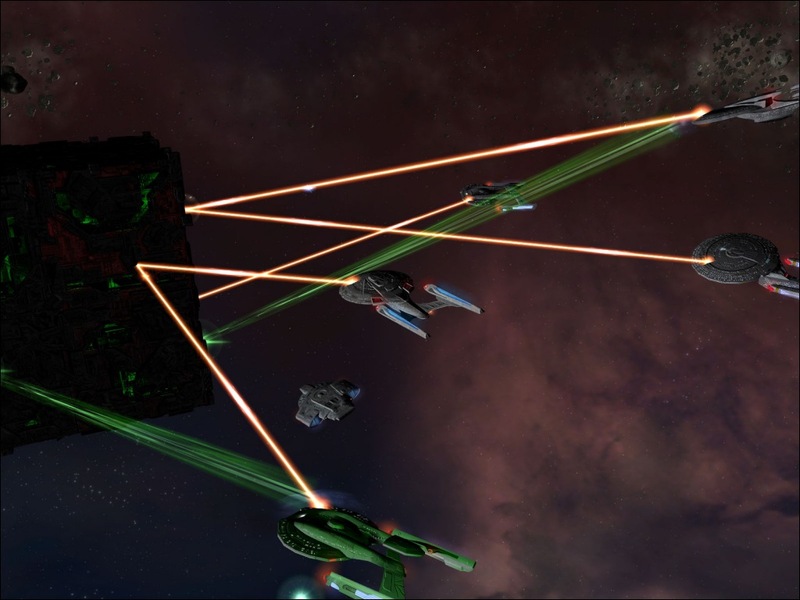 FleetOps V3 comes with 5 playable and unique races: the Federation, Klingons, Romulans and the Borg, already known from stock Armada 1 & 2. The newcomer race is the Dominion, coming with its own voice set and soundtrack (which is included in the new Multimedia pack for FleetOps). 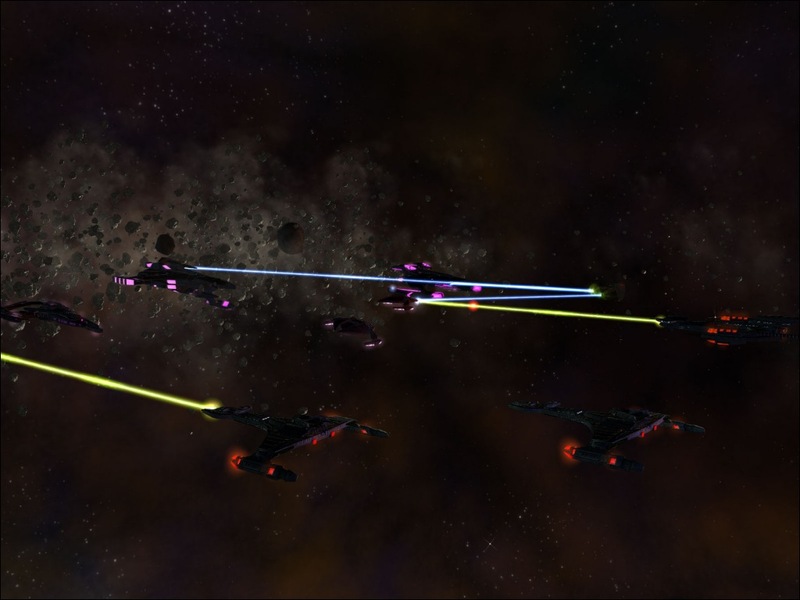 The mod is also known for its radical changes of the stock Armada 2 gameplay. It ends up with having no warp, no planets to colonize and collect metal from and the removal of 3D space. Overall FleetOps is also much slower that the original game's one and the ships & stations can take a lot more damage. But we already know those changes from past versions, so what's new here? The first thing most people will notice are the redone and improved menus. The main menu has no animations left like those of Armada 1 & 2 or old versions of FleetOps. Buttons are clearly aligned and easy to find now, but it does not look as great as the old one due to the missing animations - a matter of taste. The option menus received some useful additions though, for example anti-aliasing in the graphics menu and a much more detailed map selection screen in the game setup. For the first time ever seen in a Armada game there is a rank system for ships. Destroying enemy forces results in being promoted up to 4 times. Promoted ships have enhanced offensive and defensive values - this causes you to take much more care of your "improved" vessels. Sound and graphics are just stunning, especially if consider that this the Armada engine we are talking about. Objects in space like planets (only serving as background object though), suns, asteroid belts and most nebula types look fantastic. Also the ships and stations are very well done (although some textures could have gotten a higher resolution). And then the explosions - what a fest to the eye! The team has even added a "screen rumbling effect" to the those. And of course the shuttle traffic between your stations from the last version is still there. Last but not least comes the enhanced map editor, which has many improved and more detailed windows & options and is directly accessable from the FleetOps main menu. Sadly, the amount of changes resulted in a defective save function, which had to be disabled. The team promised to work on this problem and to reactivate saving in a future patch. So what are you waiting for? Download ASAP! screen again. That feature was bugged in the Armada 2 1.1 patch. - Some units are now unique, meaning you can only build one of them. - Most Avatar bonuses have been rebalanced to achieve a better gameplay. The K't'inga got out of date, here comes the replacement! Mining Mode Workerships may now switch into a Supply Mining submode. - Changed size and color of blocks in "Grid view"
Fleet Operations uses it's own GameSpy lobby instead of the Armada 2 lobby. So it should be easier for you to find other Fleet Operations players. - The Borg are back, prepare for assimilation! Settings, Savegames and Logs are now saved in the Users Profile folder. All types of Producers can now handle more build items. 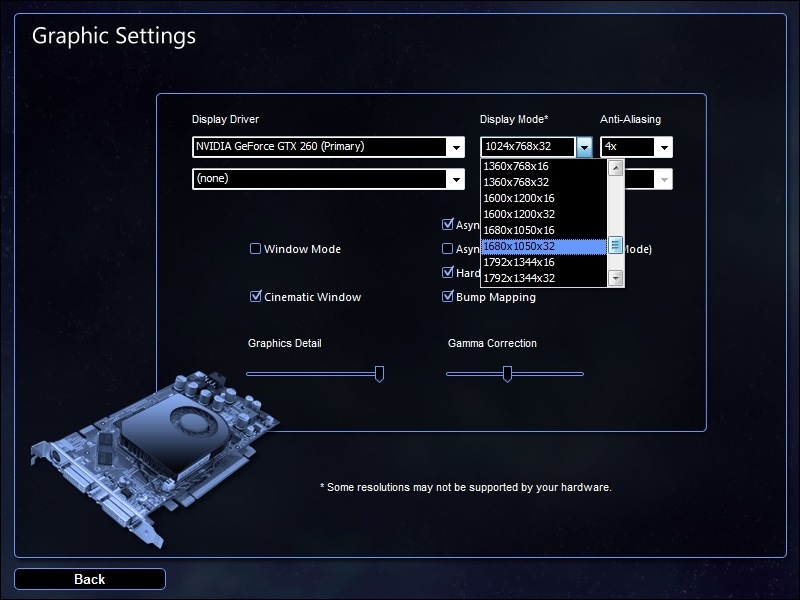 enable AA via your graphic card driver instead. Overall, this is a very good mod. The graphics are great and I especially like adaption modules for the Borg. The Klingons can also be fun to play with. However, the Federation needs work. Ships like the Galaxy and Nebula are map objects and must be warped in using a feature called StarFleet Command. You can request assistance at the cost of credits, but you rarely get a Galaxy or Nebula and sometimes the ships don't show up at all. The Federation is also weak in the offensive department. All the Federation ships could use a stat upgrade. are the supply points supposed to come back if your ships are destroyed cause when i play the federation (havent tried the other races yet) they never come back. im destroying wave after wave of enemy ships including big ones but they never seem to run out of them. i on the other hand run out after awhile especially if im playing against more than 2 oppenents. i dont want to have to use infinite resources cause that makes mining pointless. any chance the sovereign could be beefed up a bit. its the same as the defiant. also thank you for getting rid of the stupid noxter and using the dominion instead. why cant you edit your posts. thats just dumb. anyways i forgot to thank the modders who made this mod as its a huge improvement over the original game. thank you again for all the hard work. All it needs is a functioning save menu, and it'll be perfect. A gotta hand it to you guys. Someone could have told me this was Armada III and I wouldn't have given them a second glance. Great mod FleetOps Team. The glow from the ships is an awesome feature. Graphics are awsome. Just wondering if it will be possible one day to have the sheilds available to download or know how it was done? I absolutely love this mod!!!!! I love all the effects and they look amazing too. Nice job on this incredible mod. Im looking forward to any improvements/ additions.